I am so excited to announce one more tutorial for this month. 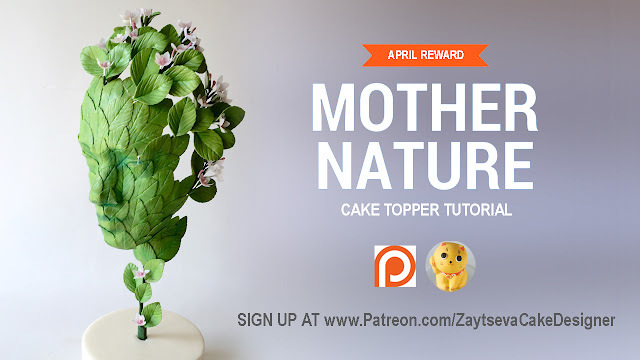 Mother Nature cake topper was my contribution for the Acts of Green-UNSA2016 collaboration and got a lot of love on Facebook! Now I want to share all secrets with you. Watch and learn how I made inner structure, sculpted the face and created wafer paper flowers. To get this reward become my $35 patron before April 30. Tutorial(link and password) will be emailed to $35 patrons May 7th after cards are processed.